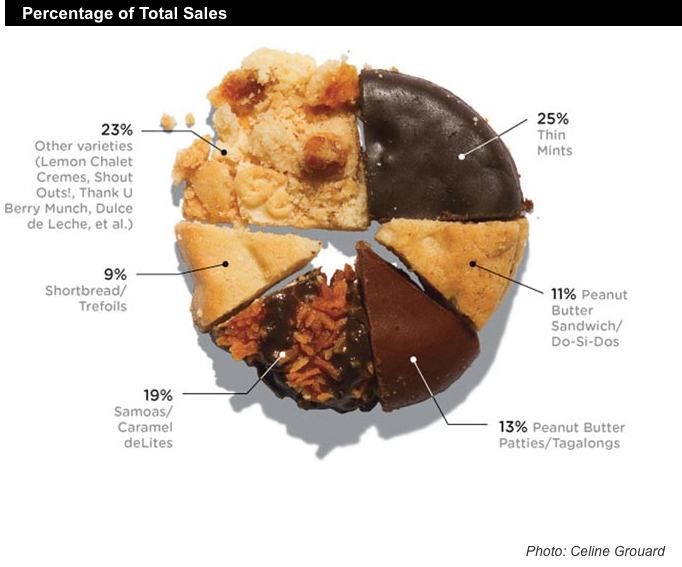 Tech magazine Wired gave a shout out to Girl Scout Cookies in this month’s issue, analyzing the preferences of the populace based on cookie sales data. Data analysis has never looked so delicious! Speaking of tech, remember to download the Girl Scout Cookie Finder app. Cookie season is right around the corner and with the app you’ll have all the booth sale listings right at your finger tips. Read more about the app here.